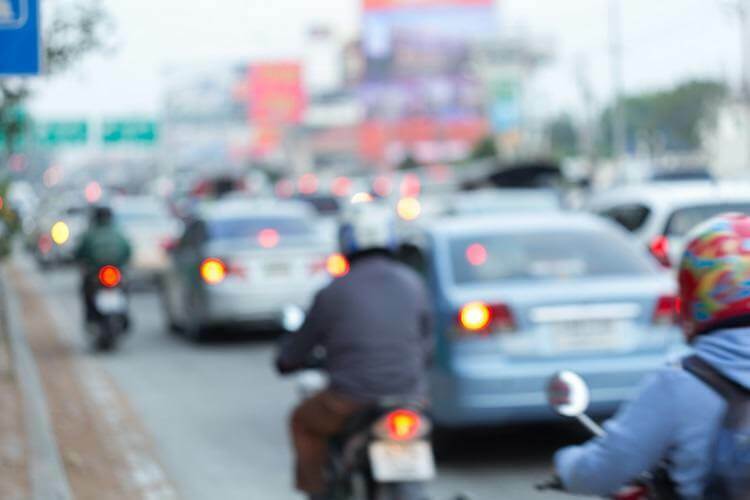 So You’ve Been Hit on Your Motorcycle | The Jardine Law Offices P.C. You want someone who is an expert on motorcycle accident law and can help your case no matter how complex. The Jardine Law Offices want to fight for you and help you get the compensation you deserve. When you’re involved in a motorcycle accident it can be extremely scary. It’s not the same as being in a regular car accident. You are more likely to get injured and more likely to get severely injured. This is an extremely serious matter and shouldn’t be taken lightly. Even though you may feel that you are put at a disadvantage by operating a smaller vehicle on the road, liability and blame still have to be assigned on a case by case basis. It’s also essential to know what damages you may be awarded if you are injured in a motorcycle accident. Liability is assigned by who is operating with negligence or carelessness. Drivers must operate with a “duty of care” when driving. They must use care and extra caution to avoid bringing harm to other drivers, pedestrians, passengers or anyone that they may encounter on the road. This includes motorcyclists. It is often the case that the driver is negligent and is held liable for the accident. An example of this would be if the driver was following too closely and hit the motorcycle, causing the accident. They should’ve handled the situation with care and kept a safe distance between them and the motorcycle. Sometimes the motorcyclist can be found at fault. 50% of motorcycle accidents are caused by either speeding or the use of alcohol. Whoever was acting with carelessness will be held liable for the accident. However, both you and the other driver can be found at some fault. An example of this would be the driver was texting while driving but you were also speeding. The state of Utah operates in modified comparative negligence. This means that you can recover damages if you were less than 50% at fault for the accident. If you are injured in a motorcycle accident, you should know what damages you may be entitled to. The two main types of damages are compensatory and general damages. Compensatory damages are more concrete and identifiable. These include things such as loss of income, medical expenses, and property damage. In this case, it would be motorcycle damage. Damages that are seen as less tangible are general damages. These include costs such as pain and suffering. These costs are harder to determine and can have a wide range. Certain factors are taken in account when determining general damages. These include the victim’s age, income, occupation, and how servere and possibly permanent their injuries are. Getting into any type of accident is tough. It’s an extremely frightening situation to be in. The aftermath is extreme as well. You may have sustained injuries from your accident and now you have to deal with the consequences, even if it wasn’t your fault. You matter and your specific needs matter as well. You want someone who is an expert on motorcycle accident law and can help your case no matter how complex. The Jardine Law Offices want to fight for you and help you get the compensation you deserve. Schedule a free consultation today using this contact form or call them at 801-350-3506.